Eggs have been serving humans with nourishment and high amount of proteins. The term balanced diet might not be known to our ancestors, but eating healthy has always been the priority. Eggs have been serving humans with nourishment and high amount of proteins. Chicken eggs are one of the most conversant and incredibly wholesome foods on the planet. A rich source of high quality animal proteins, vitamins and fats that we all need to stay apt is a nifty element in cooking. Among other types of comestible bird eggs, they are the most preferred ones. There are a lot of options as there are numerous breeds of chickens available. You can easily recognize variances in appearances and choose for yourself. Eggs justify being an important part of one’s diet. They cover all the eight essential amino acids that we need and can be gained only from the diet. Eggs are packed with heart healthy choline and betaine. Boiled eggs deliver adequate choline to the foetus in pregnant mothers and the infant for development of their brains, making it an essential part of diet for both pregnant and breast feeding mothers. If after a hectic day at work you feel lethargic, then eggs are the perfect source of energy for you. Eating eggs everyday enriches kidney and takes care of the digestive system. They are like a magic wand that can make osteoporosis and rickets disappear with the significant vitamin D content in it. Loaded with proteins, they can help in losing weight as it makes one feel fuller for longer. Though high in cholesterol, they do not upset blood cholesterol in bulk of the people. Eating eggs is a great way to escalate HDL that helps prevent cataract. Selecting a perfect egg for you can be a task because not all eggs are produced equal. The nutrient composition varies depending upon how the hens are raised and fed. Try to pick organically nurtured chicken eggs. If you can get omega-3 enriched eggs, then you have made a great choice. They are much wealthier in Vitamin A and E, containing almost every nutrient we need. Examining them visually before buying is important. They should not be cracked ones. Never forget to check the best before date. 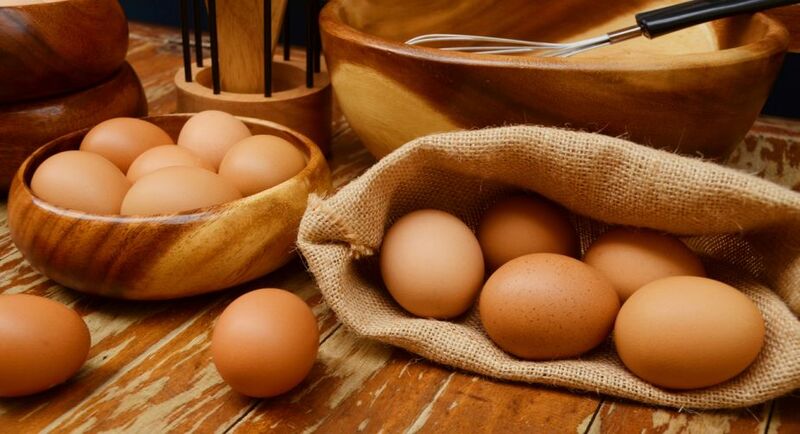 There might be a doubt about storage of eggs, therefore you must know that they are safe to be used within a month of their creation provided they are stored in refrigerator till the date of expiry. The internet is flooded with food fads about eggs. The right amount of eggs to be consumed has always been uncertain for many. Eating up to three whole eggs per day is sufficient. There is no evidence till date that eating beyond that is harmful. Eggs are nature’s perfect multi Vitamin food. They are easy to cook and taste amazing. It is important to know that all the nutrients are filled in yolk whereas the whites are rich in protein. This super food deserves to be in your plate at least once a day. Be it sunny side up, boiled or scrambled, it looks good and does good too.